Hi there! Currently, I’m not running for a few days as I heal from my surgery, so no weekly workout recap this week. Just as the anticipation of the surgery fueled my marathon training for the California International Marathon earlier this month, the recovery period and diagnosis are lighting a fire as I look ahead to 2018. 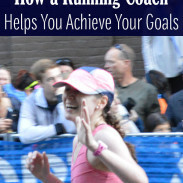 Today I want to share my 2018 running goals – and help you achieve yours with a run coaching giveaway! I originally said that I was not going to run a marathon in 2018 and focus on shorter distances. I don’t plan on running CIM in 2018 since it’s close to when Boston training would start (and I don’t think my body can handle back-to-back marathon training cycles). But, there’s something about the marathon that is irresistible to me. What I do in the fall regarding a marathon depends on how my spring goals go, although I do know that I would take a break from CIM and run a local marathon in October to leave open the option of both Boston and some local December races. My current PR is a 1:38, but I had some really strong tempo runs during marathon training that lead me to believe a big PR is possible. I am not saying I want to knock 4 minutes off in one go or that I am saying this time has to happen at any given race, but it’s my primary focus for my own running in 2018. 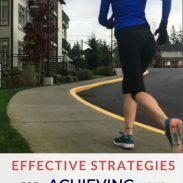 To achieve that, I have smaller goals to focus on, including: upping my average weekly mileage to 40 miles per week (from an average for about 33 miles per week), increasing my long run distance during half marathon training, and focusing on more strength and mobility work. 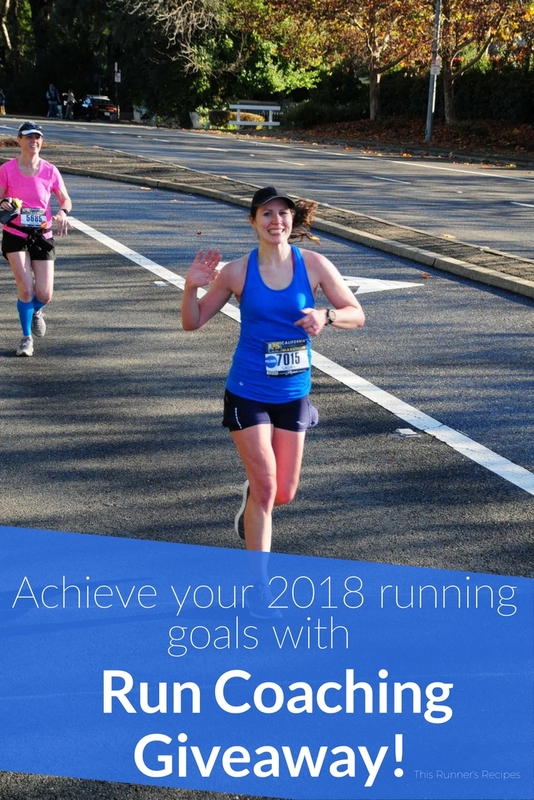 Beyond my own running goals, I have a similar goal for 2018 as I did for 2017: help other runners achieve their goals. This past year, I coached dozens of runners on their way to PRs, BQs, and comeback races. 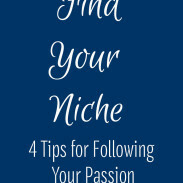 I am giving away one free month of Basic One-on-One Coaching (valued at $95/month). This month includes an initial consultation call and a check-in call, a 4-week individualized running plan, weekly feedback, nutritional guidance, strength training guidance, and unlimited email communication. Entry Rules: To enter, follow the options laid out in Rafflecopter. Open to US & Canada residents over age 18. This giveaway is open through December 31, 2017. The winner will be notified via email on January 2, 2018. That sounds like a great goal for you! I am thinking that in the winter/spring I might focus more on the 5k distance, see how that goes, and then possibly train for a fall half. But I’m really hoping to just take it a month or so at a time so I can adjust based on how I’m feeling. I’m excited to see you work towards your goals in 2018! Thank you! I think you will have a really strong 2018 based on the last few months of 2017! I’m excited to see what you accomplish! I have no doubt you will meet your goals! I’m not sure of my goals for the new year. I’m still taking baby steps after my injury. Thank you so much! I have a feeling 2018 is going to be a great year for you! I’d love to work on speed – particularly at the half marathon distance to translate to chipping away at my marathon time. I am a big believer that getting faster at the half between marathons translates to a faster marathon time. Good luck! My goal for 2018 is to run a sub 2:00 half, however I injured myself in the fall so currently I am focusing on strength and building back up a solid running base. That’s a great goal for the year! I hope building back up goes well for you! All my friends are setting goals to “break” certain times in 2018 while I’m over here hoping I don’t break any bones. 2017 has been kinda crummy on the running front so in 2018 I just want to run injury-free, that’s the only goal next year. I hope you do have an injury-free year of running! I will be coming back from an injury in 2018 so my main goal is to focus on coming back strong and smart so I don’t end up with the same issue (or any other injuries). And I’d like to actually make it to the start of the Chicago Marathon in 2018! Unfortunately, my injury has sidelined me for months at this point and I had to defer this year’s marathon. That’s a great goal and I think you will be able to run Chicago with a focus on smart training! Good luck! I would love to run a sub 1:55 half this year! That’s a great goal! Good luck! 4. Mayyybe to aim for a big marathon breakthrough? I’m actually looking a CIM since you and so many others have had great experiences! Thank you! Those are awesome goals for you. I think CIM would be a great race for a big breakthrough for you! I’ve heard of many 50K runners (or even ultra runners) who don’t run more 20 miles in a single run before the race. That sounds like a great goal – so exciting! I think those sound like great goals for you in 2018! Good luck on your marathon so soon! Awesome goals! I bet you will surprise yourself when you run in cooler and less humid temperatures! Sounds like a great goal. I love this time of year because it’s so much fun to think about what I want to accomplish in 2018. It feels so big and limitless! Thank you! I agree – the new year always is so exciting with all of the potential! Either to break 1;45 for the half or to run under 21:30 for the 5K – can’t decide. Probably the former. Those are both great goals! Good luck! Awesome goal! I’m working on my goals… it’s always fun to put them together. A coaching giveaway is awesome! You have such awesome goals for 2018 – I can’t wait to see you achieve them! Congratulations on your accomplishments through the year! Thanks for the opportunity & all the best in 2018! Thank you! Those are great goals for the year – becoming a morning runner is a hard transition but so rewarding once the habit is made! I don’t want to enter the giveaway just in case I win again lol! I don’t think it would be fair but I am still so grateful for winning your coaching two years ago!! I am so grateful you won and we got to know each other! My goal is to actually learn how to run properly and I would love to run a 5k! I’ve never done much running and it intimidates me still. My ex was a runner and he kinda made it feel unapproachable with his persona – like it was for a certain mindset and person. *doh! * Thanks for not being that way! I appreciate how down to earth you are when it comes to talking about running. Anyways, I dislike treadmills but my weird schedule often makes being outside not a viable option either. I need to sit down and figure out a work out plan that is practical for the new year! That’s an awesome goal! The treadmill does end up being an unfortunate fact of life in Chicagoland… although indoor tracks are a good option as well! Good luck on your goals! I’m not sure if I want to shoot for my longest distance (in a trail race) or 5K/10K PRs next year. I switched from one goal to the other halfway through this year, but then I wasn’t able to make it to the starting line for any of my planned races. So both goals are still calling me. Both of those are awesome goals! I bet if you divided 2018 into two seasons, you could achieve both. Good luck! Strict pull ups are hard! These are awesome goals – good luck! I am getting back into running after a pregnancy injury (prolapses) scared me off of it. I didn’t think I would ever be able to run again. When my PT assigned me a few minutes of running, I teared up. I didn’t realize how much I had missed it! I have been at it for a few months and I have slowly added mileage and speed work. I PR’d this month with 24:14 5k. A 3.5 minute PR. My confidence is back, but I am still proceeding cautiously. That said, I have signed up for a half marathon in June (normal for me) and this October I want to complete my second full marathon. My first marathon was in 2009 and it was 4:45. I plan on one full every ten years, so this is my time. (I am scheduling it early in case of injury causing delay.) I want to beat my first full and I don’t want to hit the wall like I did before. Good luck to us all on 2018 goals! That’s an awesome 5K PR – congrats! Good luck on your marathon goals! My goal for 2018 is to start running again. With being almost 38 weeks pregnant at the moment and having to quit running around the 24-ish week mark, I am getting really antsy to get back into a good running routine. I also completed my first half marathon this year and would love to complete another one (or two) for 2018! Congrats on your baby arriving so soon! I bet 2018 will have lots of great things in store for you! My goal is to sub-30 a 5k and also to bring my average pace below 10. I’m almost there with your coaching, thank you!! Glad to hear you’re feeling better. You are so close to that sub-30 5K – I am confident that you will achieve it soon! It has been really cool to see how your blog has grown through the years! I always enjoy following your progress and see how you do! I’m sure you can knock 1:35 out of the park! I’m pushing myself towards some running goals in 2018 that I never thought were possible for me. When I started seriously running about 4.5 years ago, I weighed 45 lbs more than I do now, and fast running was a pipe dream. Through hard work, lots of speed workouts, and inspiration from people such as yourself, I have become the kind of runner I never thought was possible. Best to you and Ryan in the New Year! Thank you! It’s been impressive to see your progress on Strava – you are crushing it with your running and it’s been really cool to see how fast you are now! Best to you and your family in the New Year! I’d really like to work on speed. I started running after I had my first child and ran a couple half marathons and some shorter distance races. My second/youngest is 4 1/2 and I am still running a good 2 -3 minutes/mile slower than I was before I had him. That’s a great goal! I bet you can get back to your previous paces – and faster! Congrats on another great marathon, and I’m glad to hear your recovery has been going well! My running goal for 2018 is to hit 4:05 at CIM. I’ve run farther, but not faster, over the past 3 years and I’m ready to kick it up a notch this year. Looking forward to a great year!